Academic librarians, we know you’re a resourceful bunch. Not only are you able to manage the scholarly needs of your institution’s student body, but you do it with style and an eye toward innovation. Today, we’re profiling four academic librarians who are going above and beyond in the field. Whether it’s by revolutionizing digital collections or elevating the lowly reference desk stapler to a tragic figure, these librarians are keeping your industry fresh. As the emerging technology librarian at the University of Oklahoma library system, Matthew Cook needs to be able to think outside the box at all times. He designed and implemented SparqLabyrinth, a virtual program that helps students relax and focus on their work by walking through a virtual labyrinth. But he’s not stopping there: Matthew envisions creating a whole virtual reality world in the library to help students become immersed—almost literally!—in learning. Together with Dr. Bill Endres, also of the University of Oklahoma, Matthew is creating a library feature that allows students to go on a “virtual tour” of ancient manuscripts like the St. Chad gospels from the 700s AD. Dr. Endres had created 3D scans of these manuscripts and by putting on a headset, students can explore every inch of them to learn how artifacts change over time. Cool! As a librarian and assistant professor, Jason Vance has seen thousands of students cross the library threshold into a higher realm of scholarship. But the pursuit of knowledge doesn’t come without a price, and that price is too often the library’s school supplies. To pay tribute to fallen staplers he and his fellow academic librarians have seen lost in the line of duty, Jason created the Tumblr page The Lives and Deaths of Academic Library Staplers. Included on the page are flyers for missing supplies, accounts of emergency surgery (apparently, students are not very good at reloading staplers) and eulogies for those broken ahead of their time. The blog is a fun, irreverent way to connect with fellow librarians around a shared pain point and—hopefully—encourage students to staple with a bit more care. From across the pond, Ned Potter has been an advocate for academic libraries, arguing for a reimagined view of what an academic librarian can do. He’s the writer of The Library Marketing Toolkit, a how-to guide to increase knowledge about academic libraries for the professionals who run it. He’s also worked with thought leaders around the world to solidify best practices in the academic library space and is the co-creator of the Library Routes Project, which collects stories and tips for people looking to get into librarianship. 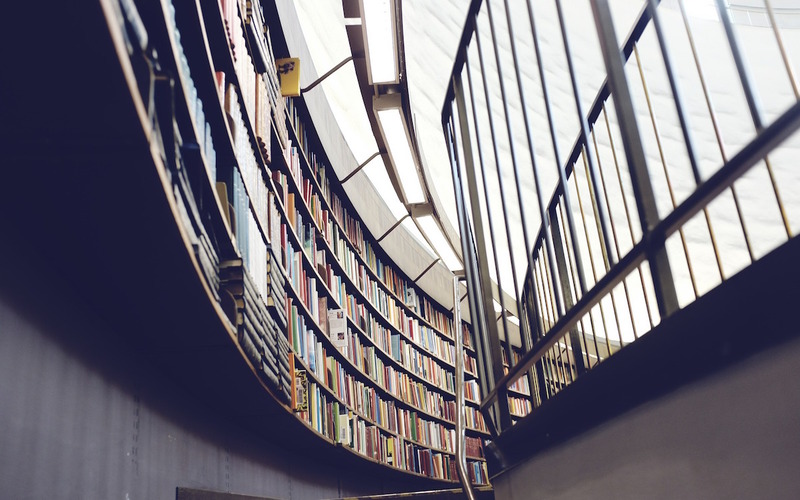 If you’re looking to learn more about what it means to be an academic librarian, take a look at his blog for some inside ideas in how to get started. Jason Clark was a big believer in the power of the internet almost as soon as Al Gore invented it. While at Marquette University in the mid-1990s, he started writing code prototypes for library systems and transformed his computing team to make sure library databases and computer systems run smoothly. Today, he’s head of library informatics and computing at Montana State University, where he manages digital archiving, collection, data preservation and data management. But when he’s not keeping the databases running at full speed, he’s creating new systems of potential use to libraries, including prototyping semantic classification and text analysis tools. We’re guessing the next big innovation in digital resources may just come from his office. Academic librarians, let us know: who do you think is leading the field in creating innovative products and services? If you think you may be one of those leaders, check out our quiz to see just how innovative your academic library is!